A building as vibrant as the evolving neighbourhood it calls home. Eat, play, shop, live – be at the heart of it all. Get your workout on at Madonna’s Hard Candy Fitness. Let the sake flow at Guu Izakaya. Catch an opening night at Mirvish Theatre. 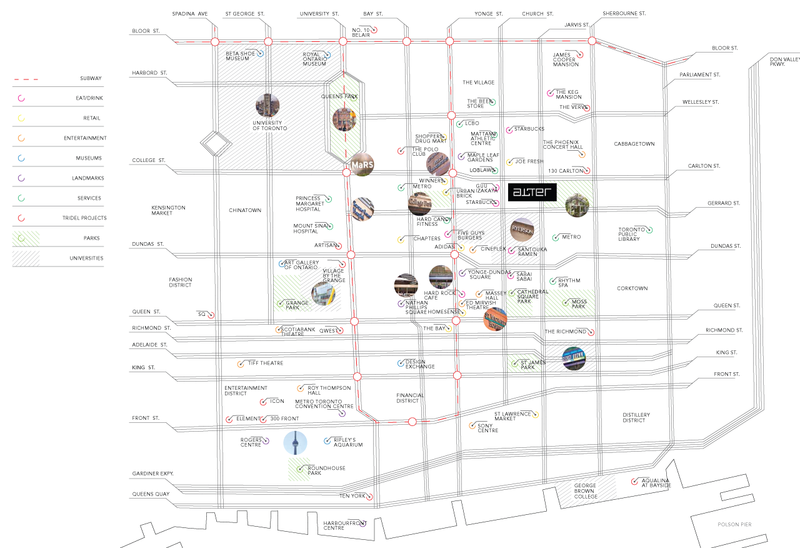 And shop your heart out at the Toronto Eaton Centre or Loblaws at Maple Leaf Gardens. Steps to everything you need. Connected to everywhere you want to go. Alter is life without boundaries.